Likud could form the largest right-wing bloc in the Knesset to create a simple majority in the 120-seat chamber, making Netanyahu Israel's longest-serving prime minister in the process. Sputnik discussed the election in Israel with Henrique Cymerman, an Israeli journalist of Portuguese and Spanish origin and author of the book "Voices from the Centre of the World: The Arab-Israeli Conflict told by its Protagonists", and Labour party member. Sputnik: What is your take on the elections? Well, we have almost what, 98 per cent of the vote counted already. What do you think? Is it a done deal? Is Netanyahu going to be back for a fifth term? Henrique Cymerman: Well, probably he will be the next prime minister of Israel; it's not official, because President Reuven Rivlin needs to consult all the leaders of the different parties. But then finally he will probably give him the task of forming a government. Benjamin Netanyahu will be the prime minister [for the] fifth government and soon he will be more prime minister for even more years than the founder of Israel, David Ben-Gurion. So it is quite a personal success for him. I think he proved he is the best campaigner in Israel and he managed his campaign alone. And he did have all kinds of indictments against him being accused of corruption. But anyway, I think the right-wing in Israel was reinforced, not only Likud [but] also the religious parties, and that's how I believe that he will have a bloc of 65 among the 120 members of the Knesset that will support his government. Sputnik: Okay. So, basically, which you say this was pretty much what was expected. I mean there were a little bit of some like… In the beginning, we saw that actually, the Blue and Whites were in the lead and then we saw a shift to Netanyahu and it was going back and forth. Do you think that there was any expectation that Netanyahu would not in fact be back? Henrique Cymerman: Yes, there was because the Blue and White party — they are a new party, they were created only some two months, two months and a half ago. But they did something important. They got quite a success too. But anyway, they divided the centre-left in Israel. So, it was easier for Netanyahu to defeat them because the Labor Party was left alone, isolated, the bloc of left Meretz too. And then this Blue and White tried to bring votes from the right-wing, having some personalities like Moshe Ya'alon, the former minister of defence who came from the right-wing. But they didn't succeed. Actually, they divided; they split the centre-left and they took votes from the Labor Party and from Meretz, from the left. And in a way, they couldn't create a bloc that also had people from the right-wing. And Netanyahu understood that and he did a kind of an emergency campaign, saying: "look, the state of Israel is in danger, they are going to give territories to the Arabs". I believe that some parts of the right-wing in a way reached the conclusion after the 2005 withdrawal of Israel from the Gaza Strip that that was a failure, a major failure, because the number of rockets and missiles that were really launched on the Israeli territories increased, intensified after the Israeli withdrawal from Gaza. So they see that in a way many people in the centre-right thought that this formula, this ‘land-for-peace', is not the one to reach peace. And in a way, Netanyahu convinced them in that way also that Israel today is a superpower. He himself is very close to the president of the United States but also to the president of Russia and other leaders in the world who want to come to Israel because they think about the three Ts. The technology — today Israel is really a leader in technology. Terror — Israel fights and in a way has experience in fighting terror and shares that knowledge with other countries. And Trump — many people, many leaders from the world come here, like Bolsonaro, the president of Brazil, some days ago, because they also think that Netanyahu has the keys of the White House and the contacts with President Trump. So in a way, all this was the reason why the majority of the Israelis gave Netanyahu a new mandate. And in a way, it was a referendum about Netanyahu. But we must be aware of the investigations going against him. We are talking about three indictments. He is accused of corruption mainly […] next days, three state witnesses coming from his own environment, people very close to him, who are witnessing now against the prime minister. So, I believe he will have a new government, his fifth government. But we know there is a hearing in July and everything is possible. Many analysts in Israel say that we will have new elections in the next year. Sputnik: That is actually quite interesting. Well, you know, Benny Gantz said that "Mr Netanyahu won't last eight months in power". That was his prediction. Henrique Cymerman: Well, 8 months, I would state one year, exactly one year, even one year and a half. Sputnik: But if the laws are changed and if it becomes the fact that a sitting prime minister cannot be prosecuted, well then that means that Netanyahu will be back for his entire term. Some people are saying that there is a very big likelihood that that will happen. Not only that, but going into the elections, some of the details of the investigations were kept quiet, they were not made public prior to elections. I think that they are going to come out actually the day after the elections because it was decided to withhold that information prior to the election. Henrique Cymerman: Lots of information will be [made] public. You are right. I believe that the new government is going to try to approve the so-called ‘French law', which in a way tries to stop all the investigations as long as Netanyahu is the prime minister. But I am not sure he will succeed. It is a possibility. He has the majority in the Parliament but at the same time, he must be aware of the public opinion in Israel. I am not sure what will happen in this country if he tries to approve these laws, what will happen in the streets in Israel — demonstrations, etc. 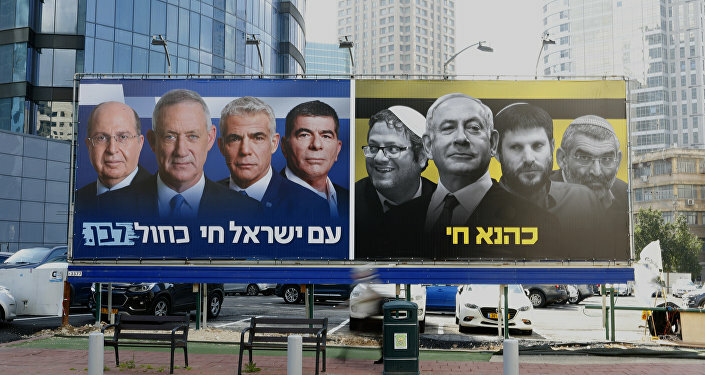 I think it will be a huge political fight that will happen this summer in Israel.